Hooray! 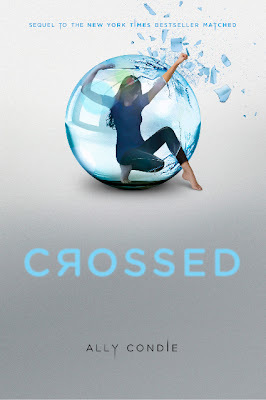 Crossed, the second book in the Matched trilogy by Ally Condie, was released yesterday! And I received my copy yesterday in the mail! I recently finished reading an ARC of this book though so I'm able to write about it today. Crossed is gorgeous. The cover is nice too, but I'm talking about the writing. Ally sure knows how to do it. It's...simplistic/minimalistic/just fantastic. Ally's sparse, to-the-point style makes the book flow like poetry. Along with this, the lines are very meaningful and efficient. The book says exactly what is needful, and mostly shows; not tells. Ally often writes about the actions of the characters in order to let the reader know something significant as opposed to slapping the reader in the face with it. I love this. It's a true writing talent. There is a lot unsaid, but understood. Whereas Matched takes place within The Society, Crossed takes us to the Outer Provinces which are patterned after Southern Utah (please see my past Ally Condie lecture post for more about this). 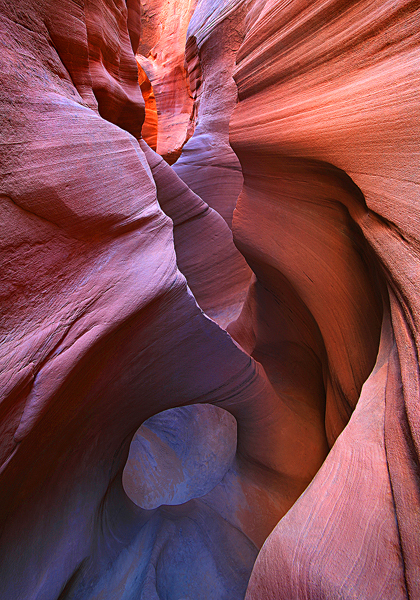 They're dusty and dry, dangerous, cold -and beautiful. In particular, most of the story takes place in a spot called The Carving, which is a huge, geological scrape in the ground made up of narrows and slot canyons. This terrain really brings out a tougher side of Cassia which is nice to see (but not too tough that she's not herself). Another major difference between Matched and Crossed is the fact that Crossed is told from the first-person, present perspectives of both Cassia and Ky (Matched is told only from Cassia's perspective) in alternating chapters (and don't worry about getting confused, each chapter heading tells us who's head we're in). This is pretty awesome, because we get to learn a lot more about Ky than we ever could. In this sequel we are also introduced to a few new, intriguing characters as well as given a tantalizing bit of information about a previously known one. Aaahhhh! What's going on?! What's going to happen?! Who's gonna end up with whom?! Who's really behind everything?! And what are Cassia's parents (and Bram) doing all this time?! Please go read Ally's own post about the release of Crossed. 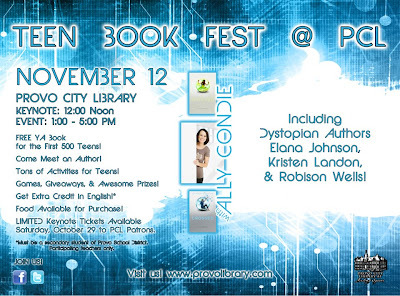 And don't forget to attend Provo City Library's dystopian themed TEEN BOOK FEST on November 12th! Free tickets are required for Ally's keynote address at 12 PM, but the other, ticket-less festivities will begin at 1 PM and go until 5 PM. Other authors include, Robison Wells (Variant), Kristen Landon (The Limit), and Elana Johnson (Possession)! You are so right. Ack! And we have to wait a year to find out!